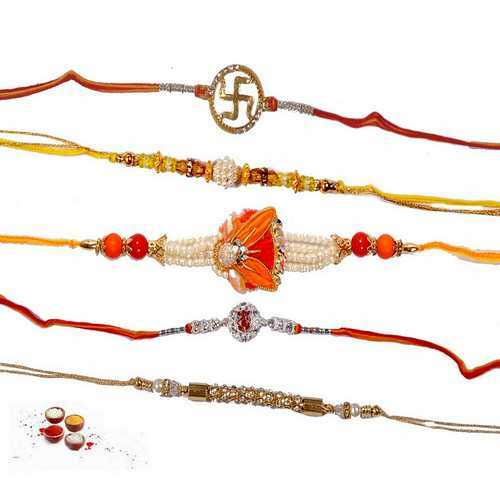 If you are looking for a lovely set of 5 jeweled and designer rakhis then your search ends here. 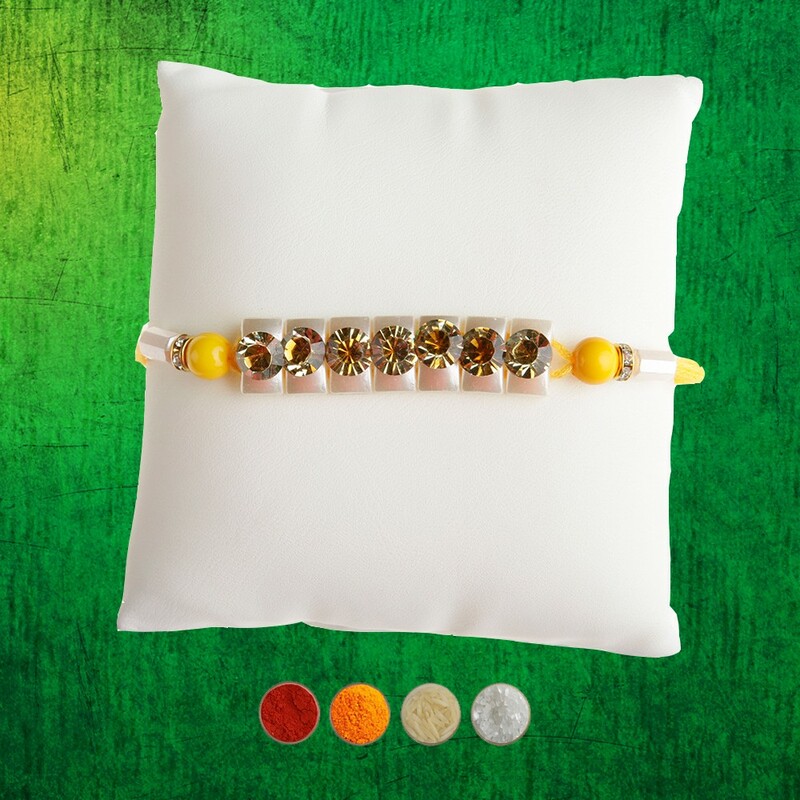 Here we present you a combo of 5 designer rakhis which are skillfully crafted and designed with golden beads, silver beads, pearls, golden threads, silver threads, red & green stones, premium white stones, etc. 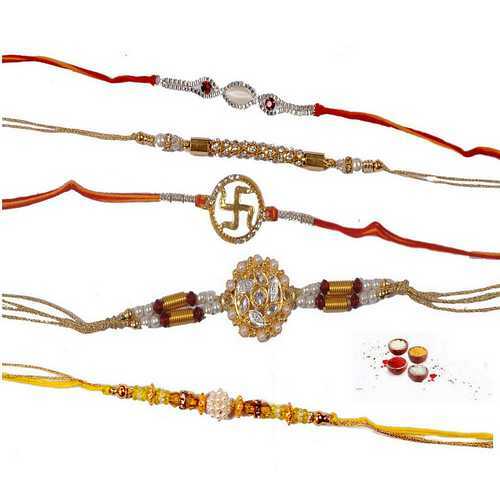 They all have very stunning and attractive motifs and patterns. They look very elegant and stylish. 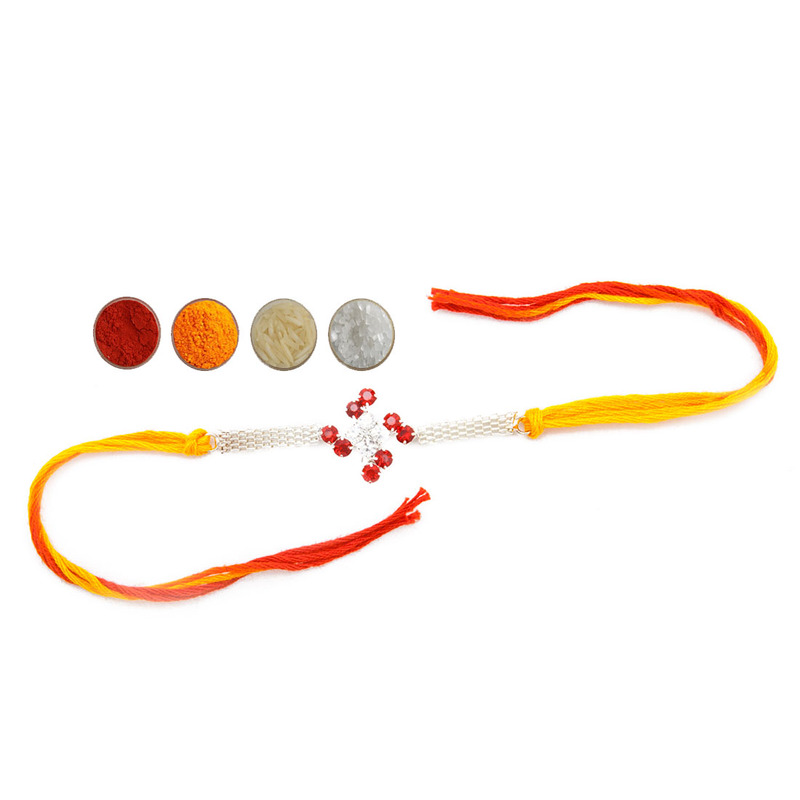 They will surely impress your brothers. 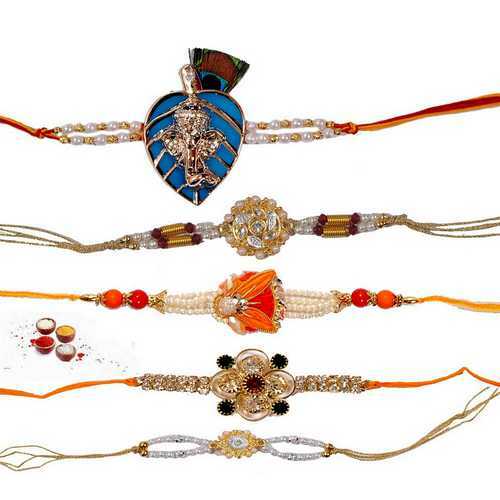 Send auspiciousness, love and wishes to your sweet brothers in form of these beautiful jeweled and designer rakhis. 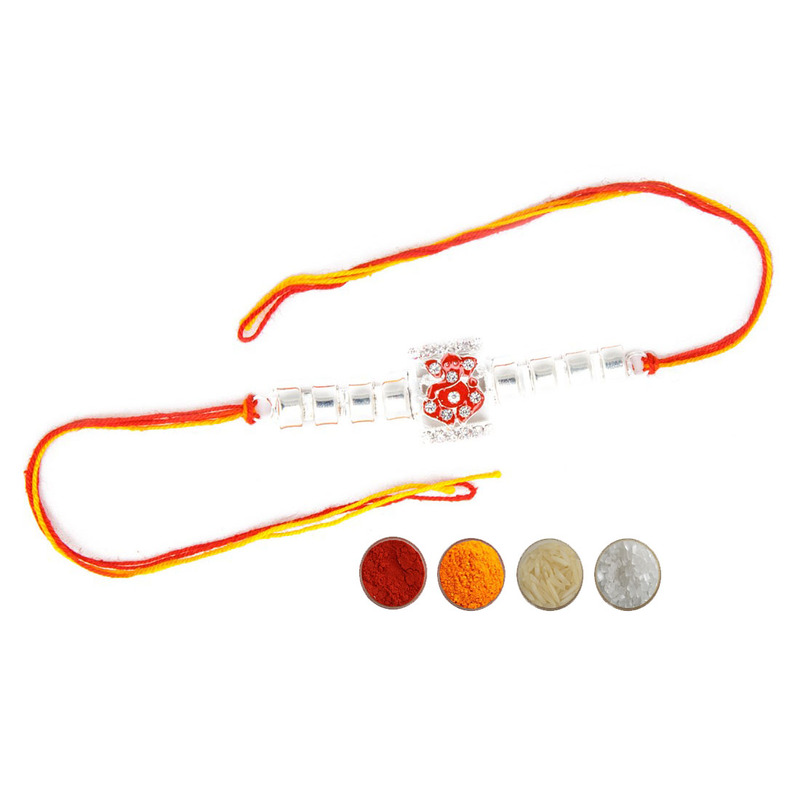 Buy the set and send online to your brothers in anywhere in India with free shipping and complimentary Roli, Chawal, Chandan and Mishri.